Open Hours: Email to confirm weekend hours. As well as being an architect, Melissa Schwegmann is an artist who focuses on drawing, painting and sculpture. She is endlessly inspired by textures and patterns and finds nature the richest subject matter. Houtskool means charcoal in Afrikaans, but its more direct translation is “woods coal.” This title is very appropriate for her experiments at Ramon’s Tailor where she will be using “stump tools” to develop more abstract works in place. 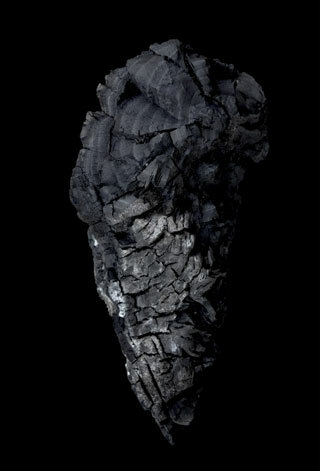 These works – resultant marks from beautiful chunks of charred logs – become art pieces in their own right. currently living in San Francisco. Melissa’s art practice emphasizes process and embraces material experimentation and the physical labor of the body in the production of works.